Do you go to the loo, to do a poo? Then this is for you! 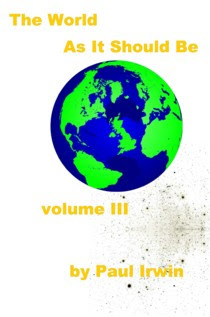 Yes, for those of us that regularly use a toilet and whilst sitting there wish to read a satire on many aspects of are lives, or at least how we used to live last year, then this really is what you have been waiting for - The World As It Should be - Volume III. Nestling within this book, designed especially for the smallest room are 160 warm and absorbent pages of news satire covering politics, crime, technology, celebrity, journalism, health. In fact all of the things you see in the category cloud on the right of this very page! For those of you, your majesty, that of course sit on throne for entirely different reasons, this book is also perfect for those trips on the royal train. For those lucky people who never actually go to the toilet, supermodels that normally throw-up their food for example, it is also perfect for bus journeys. For those of you who have abandoned paper, there is an electronic version to download to your portable device and read in the loo. Personally I think you are pushing it a bit since even the wipe clean front of an iPhone isn’t that absorbent. I shudder to think of the consequences for you or the machine of using a Blackberry. So GET IT NOW before the puppy drags it across the landing: - The World As It Should be Volume III. Also available are Volume I and Volume II – for satire of a bygone age.